For a while now, we have been told that soon we will be able to learn a whole lot about our health risks from studying our complete DNA sequence. 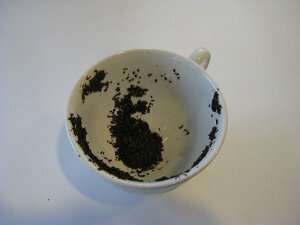 Our future health will be read by scientists in the tea leaves that are DNA. A new study out of Stanford University in the Journal of the American Medical Association (JAMA) shows just how far we are from that brave new world. 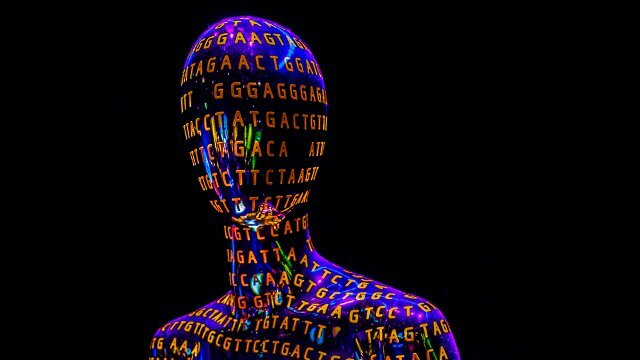 For around $15,000 or so per patient, these researchers managed to only get a partial read of key health genes and to only catch around half of a certain class of DNA differences in twelve patients. Not only that, but they also struggled to understand what many parts of these DNA reads meant. We are not yet at a point where we can cheaply and easily get and interpret the complete set of instructions for a single person. Still, it isn’t all doom and gloom. You may not be able to learn everything from your DNA but as one patient in the study found, you can still find things that just might save your life. This kind of thing may make even an imperfect test worth the cost; it certainly was for this one patient. In the study, 12 people had their whole genome sequenced. This means that the scientists tried to get a read on all six billion or so of each person’s A, G, C and T nucleobases in their DNA. For one of the 12 patients, things went as everyone thinks these sorts of things eventually will. Only an unbiased test could find her broken BRCA1 gene. The researchers discovered that this woman had a difference in one copy of her BRCA1 gene; that meant she almost certainly had a very high chance of getting breast and/or ovarian cancer later in life. With this knowledge, she took steps to lessen her risk. She had her ovaries removed and will undergo much more frequent mammograms to catch any breast cancer early. This testing may have saved her from an early death from cancer. But out in the real world, she may never have found out that she had a broken BRCA1 gene. Breast cancer doesn’t run in her family, which means no one would recommend her for one of these tests. She could only find her cancer risk in a test that looked at lots of different genes. Only an unbiased test could find her broken BRCA1 gene. Of course, this is just one of the many genes the researchers looked at in one of 12 patients. The results for the other genes and the other patients were not so clear-cut. A surprising number of important genes were not read and an equally surprising number of DNA differences missed. The researchers first used a company called Illumina Inc. to do the sequencing. Depending on the patient, anywhere from 5%-34% (median was 10%) of genes known to be involved in disease didn’t get read well enough to draw any conclusions. Doing the same on nine of the patients with a second company, Complete Genomics Inc., gave similar results. This time 18%-21% (median was 19%) of disease-related genes remained a mystery. Reading DNA is still better than reading tea leaves to predict your future health. But we still have a long way to go. This is a big deal because the test might miss an important DNA difference that could cause problems for the patient. Imagine that a second patient has a broken BRCA1 gene and the test missed it, or the BRCA1 patient had a different broken gene that caused some other problem. These types of false negative results might give the patients a false sense of security about their health. Using two companies also gave the researchers the chance to compare the two results. The two did not line up as well as you might think. The two tests did very well for known, common, disease-causing variants (like those 23andMe could see for a lot less money). These would be like the variant of the hemoglobin gene that can cause sickle cell anemia. The companies agreed on 99% of these. Where they had more trouble was with small insertions or deletions. An insertion is when one or a few letters are put into the DNA and a deletion is when one or a few are removed. This is the kind of thing that can, for example, cause some cases of cystic fibrosis or make people resistant to HIV infection. Here the two companies’ results only matched up between 53% and 59% of the time. If anything, this is even more troubling than an unread gene. At least with an unread gene, you can tell a patient that you couldn’t read the gene or you could try to reread it. If you miss a disease causing DNA difference, you don’t have any way of knowing whether it was there or not. This leads to even more false negatives. Up until now, I have focused on problems in reading the DNA. Figuring out what the DNA means is no easy task either! I don’t have the space to go into it here, but suffice it to say that interpreting DNA is at least as tricky and time consuming as reading it and a whole lot more subjective. We don’t yet have a good handle on what it all means and what to do with it (although we are learning). The bottom line is that whole genome sequencing for health risks is not quite up to snuff yet. But that doesn’t mean it's no better than reading tea leaves for predicting the future. Even in its current form, this sort of test can help patients live healthier lives; it just won’t catch everything. Maybe the results should come with a warning that many health risks will have been missed. While we wait for the inevitable march of technology to further perfect this sort of test, one way around the technical issues may be to narrow the DNA we choose to read. For now, we could focus on those genes known to be involved in inherited disease and add more genes as they become available. The less DNA to read, the more likely we are to catch every last letter.